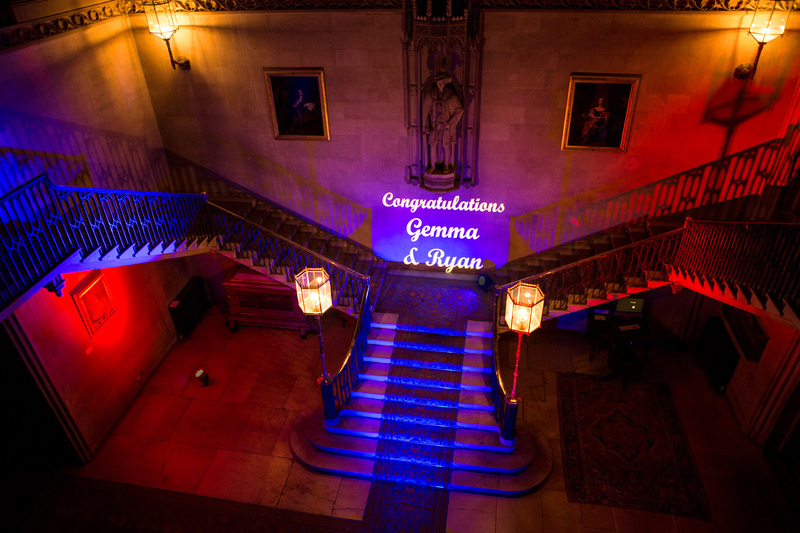 Gobos are fully customised projected images that provide truly personalised stunning effects at your event, party or wedding. We can project onto almost any surface both inside and outdoors and any size (within limits!). Text, logos or patterns are all catered for. 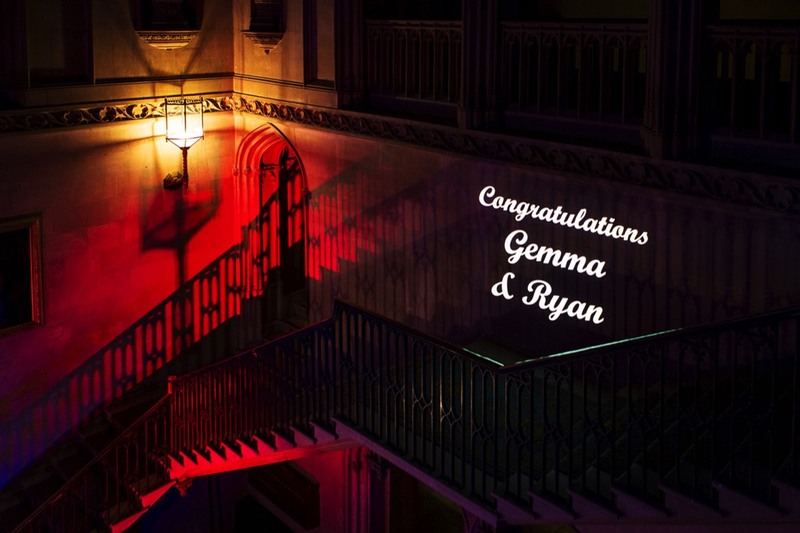 How about the Bride and Groom’s names up in lights at your wedding reception or use your logo at your corporate event. 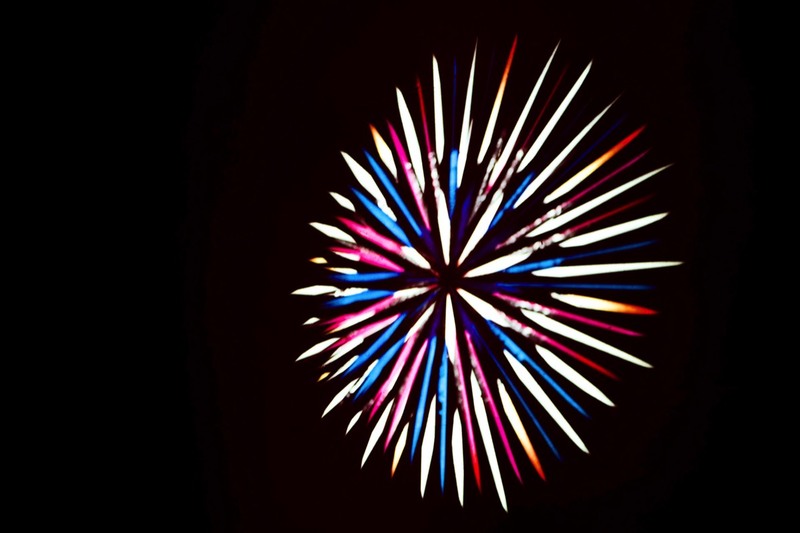 Or use our vast array of patterns to provide stunning unique effects at your party. 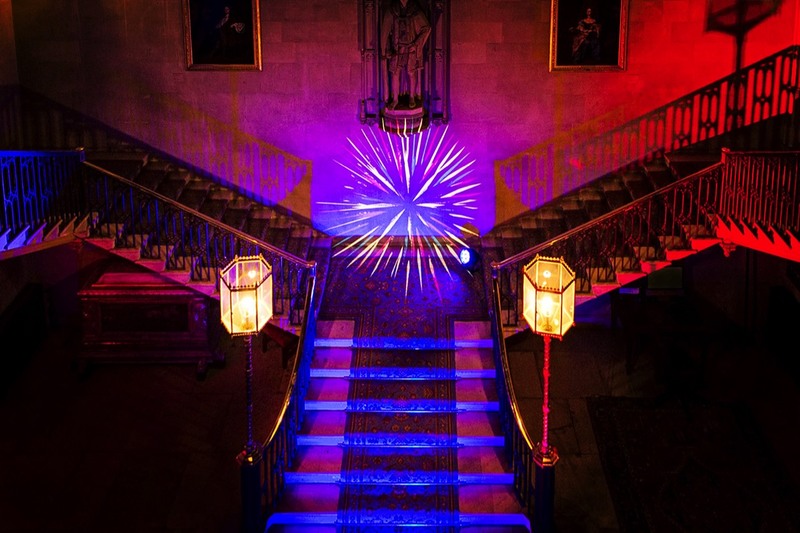 Gobos can be supplied on their own or why not combine them with our other event lighting, led bars and led furniture to give your event, party or wedding that spectacular look and feel. We will deliver and setup all gobos and other lighting effects and be on hand throughout your event, party or wedding to make sure all goes well. Please get in touch to find out more and to get your competitive quote. 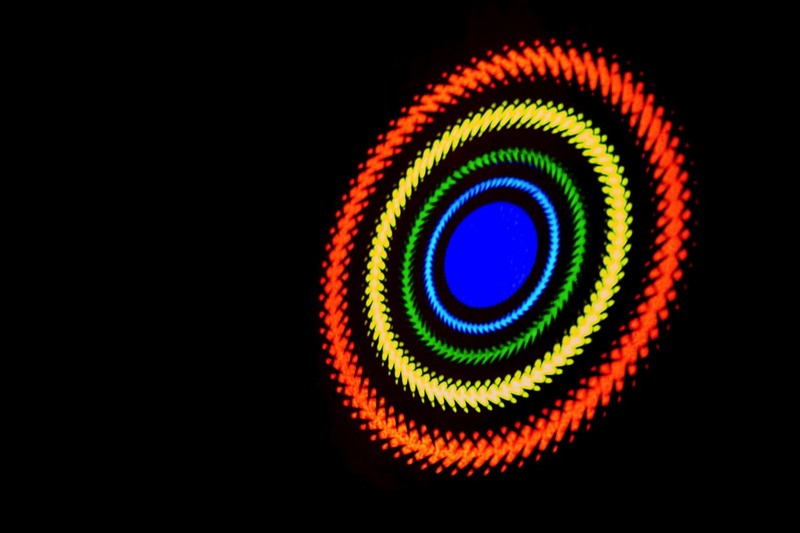 We are a leading event lighting and entertainment company. Based in Bedfordshire and covering the whole country. We do everything to make your event special.